The Wilhelmina Children’s Hospital, UMCU (University Medical Centre, Utrecht), is one of the well established children’s hospital in the Netherlands with a large level III perinatal centre with a longstanding specific interest in perinatal brain injury. The unit has a longstanding experience in neonatal neuro-imaging, both ultrasound and MRI and was the first unit to introduce continuous aEEG monitoring in the Netherlands in 1992. 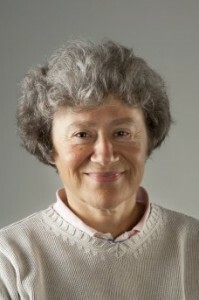 Linda de Vries obtained her PhD degree in Utrecht (1987) with Leo van de Brande. The degree was based on data collected during a 4 year research period at the Hammersmith Postgraduate school in London where she worked with Lilly and Victor Dubowitz in the field of Neonatal Neurology. Between 1987 and 1989 she did her Pediatric Neurology fellowship in Leuven with Paul Casaer. Since 1989, she has worked in the department of Neonatology in Utrecht, where she is a professor in Neonatal Neurology since 2001. Her research focuses on prediction of neurodevelopmental outcome in high risk preterm and full-term newborns, using neurophysiology and neuro-imaging methods. These at risk children are also seen by her in the follow-up clinic until early childhood. She has a special interest in neonatal stroke and brain plasticity. Her work has been published in >250 publications.She is also an adjunct professor in neonatal neurology at University of California San Francisco (UCSF). Dr Mona C. Toet trained as a pediatrician and neonatologist in the Wilhelmina Children’s Hospital in Utrecht. She works as an neonatologist in Utrecht since 1996. 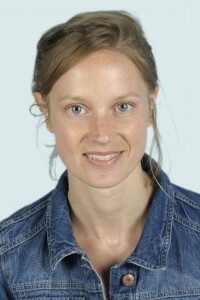 In 2005 She finished her PhD-thesis “Cerebral Monitoring in Neonatal Intensive Care”. Her research focus is on neurophysiology ( aEEG) in high risk preterm and term neonates. Lauren Weeke is a PhD candidate in neonatal neurology at the Wilhelmina Children’s Hospital, University Medical Center Utrecht, The Netherlands. She qualified as a medical doctor from the University of Groningen in 2011 and worked as a resident in paediatrics at the Isala Clinics in Zwolle, The Netherlands before starting her PhD in 2013. Her PhD focuses on neonatal seizures, in particular their diagnosis, treatment and prognosis and the use of EEG in preterm infants for diagnostic and prognostic purposes. She was a research fellow for a European funded program developing antiepileptic drugs for the treatment of neonatal seizures (NEMO: Treatment of NEonatal seizures with Medication Off-patent) and she is currently working as a research fellow for the ANSeR study.